As promised, Nike is also set to release an edition of the Nike LeBron XI specially made for kids. 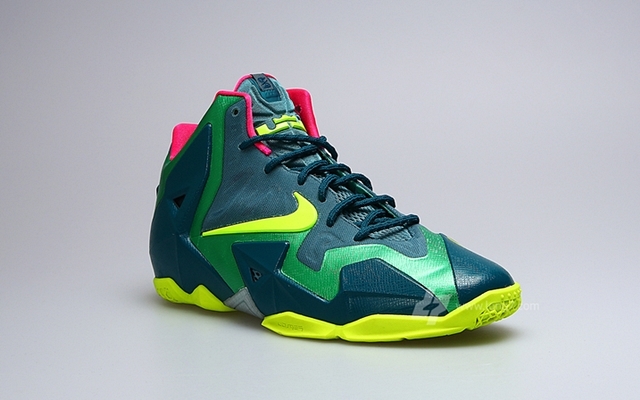 The LeBron 11, which has been making waves in the sneaker market for several weeks now, will be released in a GS “T-Rex” edition that is inspired, as the name itself suggest, by the Tyrannosaurus Rex. This grade-school kick will be released on November 29th in all Nike accounts for just $140 per pair.